Next month Zukunft Personal Nord, the Human Resources fair of Northern Germany lands for the 9th time in Hamburg on the 7th and 8th of May. This leading HR event is all about innovation and trends in the working world of tomorrow, with a continued focus on people. HR directors, recruiters, innovators, tech companies, start-ups and other HR professionals all come together at this 2-day fair to predict the future of work. 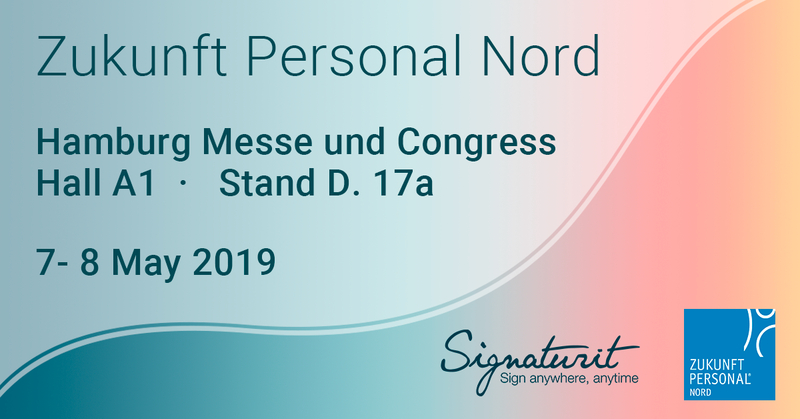 After a successful participation at Zukunft Personal Europe last September in Cologne, Signaturit will now also participate for the first time in Zukunft Personal Nord. Keep reading to find out more about the event and Signaturit's participation! 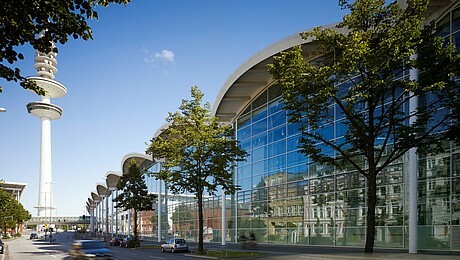 On the 7th and 8th of May, Zukunft Personal Nord takes place at the Hamburg Messe exhibition complex. As a member of the Hanseatic League during the middle ages, Hamburg continues to be an important trade city, being the second largest city in Germany. The perfect strategic location for a trade fair! During 2 days, more than 4.000 HR professionals will meet for the 9th time to discuss, predict, and shape the future of work. There will be over 270 top exhibitors presenting their product innovations and services to the general public. We can expect the following companies in the following fields: HR software, recruiting and training, employment law and new personnel services in the digital age, corporate health etc. Among the exhibitors we have MHM HR, a SAAS-company for sophisticated HR software solutions in the areas of recruiting and applicant management, inlingua, a global language school with interpretation and translation offices and Moove, expert in health management that helps companies achieve their strategic health goals with modern, digital tools. We furthermore have several keynote speakers on the agenda, among others: Felix Thönnessen, Germany's most famous startup coach, who will talk about digitization and how to identify trends. Marc Paczian, Senior Architect at Dropbox, DACH region will highlight the importance of great teamwork in the digital work environment. The complete program can be consulted here. To celebrate the success of the first day of the fair, Zukunft Personal Nord organizes an after party on the 7th of May starting at 18:00h at Hühnerposten. Network with expert colleagues, HR professionals and trade visitors at this legendary party and enjoy an extended buffet that covers all flavours of the world. Live band "Freestyle" and DJane "Frau Hoppe" promise cool beats and will turn this party into a unique experience. Don't forget your dance shoes! This year, Signaturit will participate for the first time with a stand where we'll be presenting our Qualified Electronic Trust Services: Electronic Signature, Certified Electronic Delivery, Electronic Identification and Qualified Electronic Time stamp and how they can help streamline HR departments. If you're curious to find out what our Electronic Trust Services are capable of and which benefits they offer for your HR department then don't hesitate to come by our stand number D.17a! Our team will be happy to assist you with any queries.